The Awesome Official Guide to Club Penguin: Expanded Edition is for Ages 4-8. 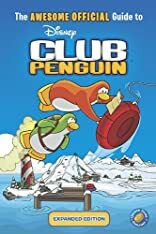 The Awesome Official Guide to Club Penguin: Expanded Edition was written by Katherine Noll and TRACEY WEST. The Awesome Official Guide to Club Penguin: Expanded Edition was published by Grosset & Dunlap.